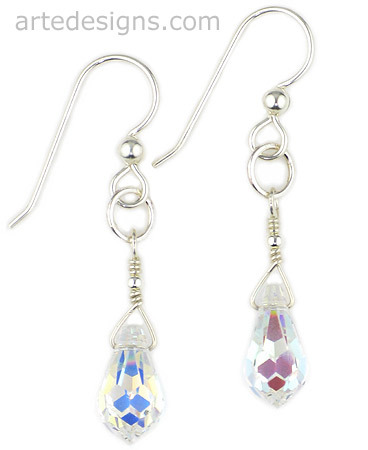 You can't go wrong with these classic aurora borealis Swarovski crystal briolette earrings. Dress them up or wear them casually, these shimmering crystal earrings will go with everything. Perfect for brides. Approximately 1 5/8 inches long. Sterling silver wires.